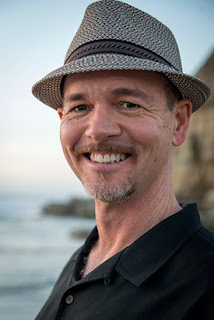 Today we have Bruce Hale on the blog! He is the author of multiple books for kids, most recently The Curse of the Were-Hyena! During author visits around the globe, I’ve given all kinds of answers to the author’s most-asked question, “Where do you get your ideas?” I’ve said it’s a mystery (true), that they come from paying attention and asking questions (also true), and that they’re manufactured for me by a gnome called Guido who lives in my backyard (I’ll let you guess about that one). However, it would be just as true to say that often my story ideas have their roots in my childhood. A reluctant reader at first, I was nevertheless a big fan of monster movies and comic books. Then, on a tragic day my family still calls The Day the TV Broke, my parents began reading aloud to us. The Tarzan stories of Edgar Rice Burroughs were what turned me into a reader, and I find that his influence still lingers. For instance, about eight years ago, I wrote a hybrid graphic novel series called Underwhere about these kids who discovered a world beneath us. Not until after it had been published did I recognize echoes of Burroughs’ Pellucidar books in my wacky tales. Flash back to little kid time: After we finally got a new TV, I used to love watching old Humphrey Bogart movies with my dad. The rat-a-tat dialog and tough-guy attitudes enthralled me, and the plots intrigued me. Years later, this influence came out in my Chet Gecko mysteries, which borrowed heavily from film noir. In fact, that hardboiled voice came so easily, I had to make a conscious effort to move away from it for other books. But though I’d once been a huge fan of monster movies— particularly the Universal Pictures classics like Frankenstein, The Mummy and The Wolf-Man—I’d never tackled a horror story before. Until now. 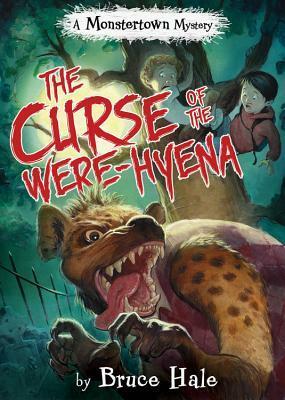 The Curse of the Were-Hyena draws directly from that childhood love. Just like my boyhood friend Billy and I, the book’s two heroes love comic books and are obsessed with monsters. In fact, even the series title, The Monstertown Mysteries, comes from a book I wrote in second grade, The Two Brothers at Monstertown. I felt a certain comfort and familiarity writing about a subject and characters so close to home. That’s one of the joys of returning to a childhood influence. And yet there was a freshness to the process as well. Unlike me, the book’s narrator is Latino; and unlike those Universal movies, the monster is a made-up one: a were-hyena. Something old, something new. As I grow more aware of my early influences, I feel freer to stray from them, to play with them, to mix them up with other notions. That’s what the creative process is about, after all. But I know they’ll always be there, informing my writing and providing a wellspring of ideas. In case, you know, Guido the gnome ever gets tired of churning it out. Jude is on the other side of the country when she receives the worst possible news: Her best friend Maggie Cho has drowned in her swimming pool. She rushes home to Pasadena, and tries to unravel the tangled web of Maggie's last days. Maggie was Jude's best friend, but Maggie had lots of friends who confided their secrets in her, met her in secret, kept her secrets...and had motivation to kill her. The deeper Jude digs, the more convinced she becomes that Maggie didn't just drown--she was murdered. This contemporary novel evokes the eponymous setting through languorous descriptive passages. The slow-burning mystery with relentless questions keeps readers hooked as Jude slowly pulls back the layers of Maggie's lives and uncovers her secrets. The tone of the novel is reminiscent of classic noir stories, but her investigation techniques don't have the same panache as the other famous teen noir sleuth, Veronica Mars. Nevertheless, the twist of the mystery about what actually happened to Maggie more than makes up for the novel's unhurried pace, forcing Jude to finally come face to face with her own buried, ugly past. 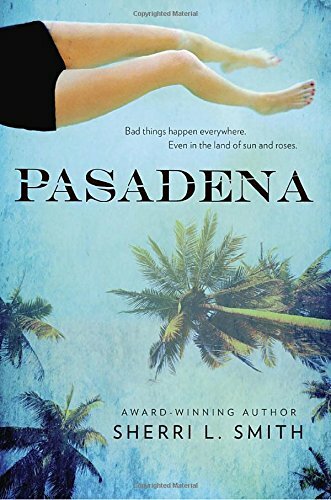 For a setting-rich YA mystery that explores twisted friendships rather than the criminal element, Pasadena is the perfect choice. Thanks to the generosity of Penguin Group, I'm giving away a copy of Pasadena to a blog reader! Just fill out this form! Well, 2016 is quite the hallmark year for children's writers. In April, Beverly Cleary turned 100 years old, and next week, on the 13th, would be Roald Dahl's 100th birthday. I don't know about you all, but when I found out that two legendary authors whose books were touchstones in my childhood were also born in the same year--it was a bit a surprise. Their lives and careers were both very different, I sort of imagined them as living in totally different times. Most of us know and love Dahl's most popular books--Charlie and the Chocolate Factory, Matilda, The BFG--but Dahl taught me a very important lesson when I was a young reader: if you like a book, go look up that author in the library because you might be surprised by an extensive backlist. It's safe to say that Roald Dahl's books were the first I ever binge-read. It was awesome, because all of his books are delightfully weird, but also because it then allowed me to be a young, smug reader who went around saying stuff like, "Oh, you like Dahl because you read the BFG? Well, have you read Danny the Champion of the World? Because that's where that story comes from!" I know, I know. I was terrible. But Danny the Champion of the World sticks in my mind for some reason. I think it was perhaps because most of my peers tore through Dahl's books but I was the only one who read Danny. Maybe it's because the first few chapters contain the origin story of the BFG (it's a bedtime tale told to Danny by his father), and I was so charmed by the connection between books. Maybe it's because the plot is so odd. I recently re-read it for the first time since I was a smug little reader, and the entire time I couldn't help but marvel at the plot, which I think would be a hard sell in today's market. It's about Danny, who lives a charmingly humble life with his dad in a gypsy wagon at a filling station. Danny's dad is the best in the world--kind and humble and entertaining, and provides everything for Danny. They're poor, but happy. Then when Danny is nine, he learns his dad's deep, dark secret--he's an illegal poacher! He loaves to poach pheasant from the rich man's woods, and soon he starts taking Danny with him even though there is a legitimate chance that both Dad and Danny would be shot on sight. But the rich man is understandably awful, so it's okay. Danny comes up with the most excellent plan ever to poach all of the pheasants from this man that everyone hates, making him the champion of the world, and learns a lot about his community in the process. Basically, the book is about breaking all of the rules and finding out that the adults are not only complicit, but encouraging of this. No wonder I loved this book as a kid. But this new understanding of my childhood love of Danny made me think of a troubling trend I've encountered at work recently, where I'll suggest a children's book to a parent looking for reading material for their kid, and after explaining the premise, I'll get a variation of, "No, not that one. My kid is energetic/mischievous/has a history of getting into trouble, and I'm afraid that that book will give them ideas." To which I always want to say, "Well, isn't that the point?" Unpacking this issue would talk another post, but I think stories like Danny the Champion of the World--ridiculous, over the top stories about illegal poaching--are fine. I don't think any child is going to turn into a criminal after reading this book. I think kids are going to read it, and be inspired by Danny's bravery (even when he's scared) and delighted to find that he has so many adult supporters. I think this book will entertain and inspire and spark curiosity. 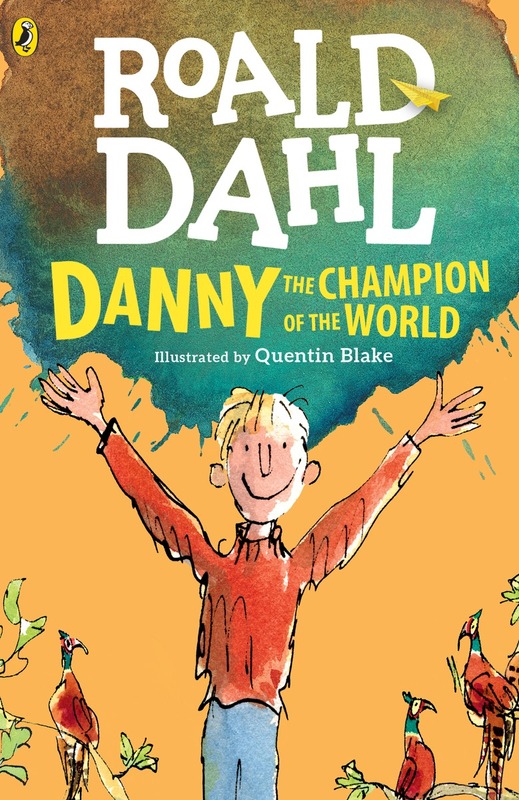 Luckily, I don't need to hand-sell this book to any parent, because Dahl's name sells itself. And Danny isn't the only rule-breaker in Dahl's canon. I'm glad that these preposterous, delightful, mischievous stories are still finding their way to kids. It gives me hope--that kids will turn into readers, that they'll go to the library and look up the rest of Dahl's books, and that they'll keep on discovering stories about crazy, rule-breaking kids. 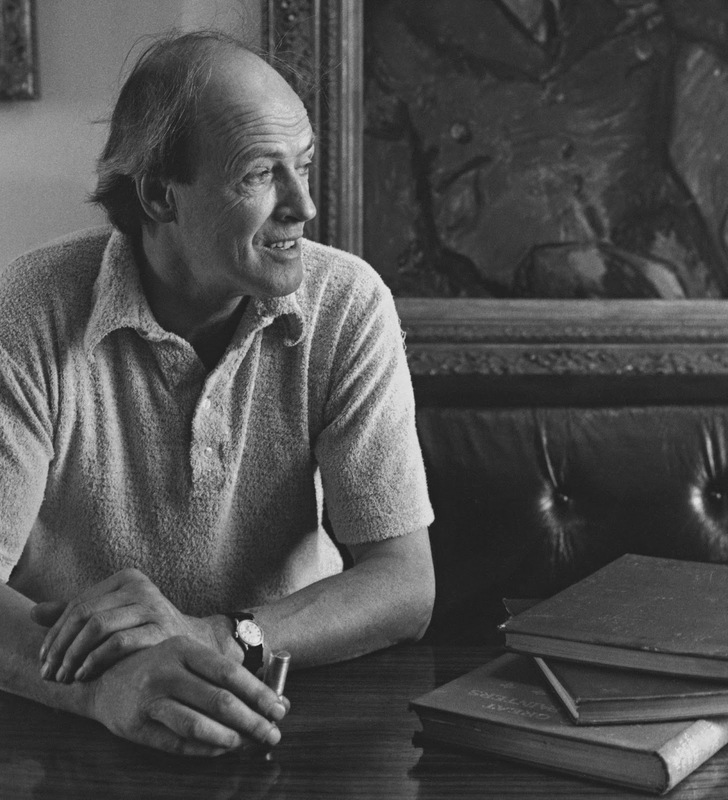 Thanks for the great books, Roald Dahl, and happy 100th birthday! Enter to win a full set of Roald Dahl's kids' books from Puffin!